The ongoing brain drain and lack of financing is not the only reason why Russian science has suffered in the years since the fall of the Soviet Union. The increase in pseudoscience has been so strong that the Russian Academy of Sciences (RAS) has formed a body to deal with the influx, the Commission on Pseudoscience and Research Fraud. The interview with Evgeny Alexandrov by Elizaveta Vereykina for The Moscow Times newspaper was published September 3, 2015. 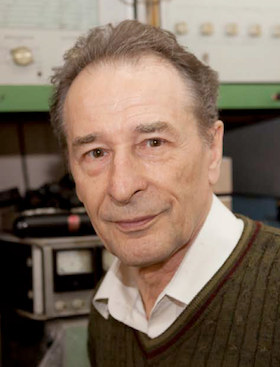 The Moscow Times spoke with the chairman of the commission, Evgeny Alexandrov, who is also the head of a laboratory at the Ioffe Institute in St. Petersburg, one of Russia’s largest institutions for research in physics and technology. Does Russian science really need to be protected? I would say we don’t protect science. Our main goal is to protect the Russian state budget from plunder. Very often, under the guise of costly pseudoscience projects, millions of dollars go nowhere. We inform the state that it’s being cheated. Fraud is committed mainly in the spheres of medicine and weaponry. Twice a year we release our own bulletin in which we report about all the suspicious cases. Almost on a daily basis we get requests to approve yet another “quant bio-regulator” or “aura corrector.” Recently we got a project that declared the invention of a “gravity gun” weapon. Recently in the bulletin we reported about Anaferon tablets. In an intense online ad campaign, it was called an “immunity modulator” that allegedly cures the flu. But it’s a typical homeopathic fake. In the annotations, it’s written that one tablet includes 10−15 nanogram active form of the active ingredient. For a scientist, this number means that there is not more than just a molecule of the active ingredient in million of Anaferon packages. Besides the writing the commission’s opinion on Anaferon in the bulletin, did you make any other attempts to stop its distribution? Once a doctor prescribed Anaferon to me. I went to the head of the hospital and showed her a Wikipedia article about it, as well as the annotation. All she could do was to exclaim: “Oh no! They cheated us!” Then I wrote a letter to the editor-in-chief of the media where it was advertised, saying that it’s not good to promote medicine with zero effect. I never got a reply, and the advertising continued. Do you ever go to trial to expose such cases? No, we just write letters back to pseudoscientists with our conclusions about their product. We also write to media, officials and scientific institutes. In the 1980s, Petrik was sentenced to 11 years for burglary, robbery and extortion. Since getting his freedom, he somehow proclaimed himself an academic of seven made-up academies, and in the 2000s he became very close to the Russian ruling elite, particularly State Duma speaker Boris Gryzlov. All of his 100 patents are just repetitions of physical and chemical phenomena discovered long ago. We consider pseudoscientific Petrik’s and Gryzlov’s project “Clean Water” and were trying to prevent the State Duma from funding the project. They wanted to produce and install “nanocarbon sorbent” water filters all over Russia. The filters were called “Shoigu” [after the current defense minister Sergei Shoigu] and labeled with United Russia stickers. The commission, organized by RAS, including chemists and physics, came to the conclusion that Petrik has nothing to do with science and is just a businessman. Have you ever tried to inform President Putin about these pseudoscientific claims? I think we actually won the trial with Petrik thanks to Putin’s support. Since that day, I also noticed we have become more respected. At least some media do answer our emails now. You managed to stop the “Clean Water” funding project, but which costly pseudoscientific projects have managed to get state funding? The so-called “Torsion fields” have been widely discussed in Russia since the end of 1980. RAS has called them pseudoscientific many times, but our statement was ignored. In 2008, the Khrunichev State Research and Production Space Center launched the satellite Yubileiny in which they installed an engine based on those “torsion” technologies. This engine was supposed to bring the satellite beyond the solar system. This idea contradicts the basic law of angular momentum. RAS academics have many times expressed their concerns about increasing obscurantism in our society. Why are occult mystics and healers still so popular in Russia? Because the media loves them! Take any newspaper or turn on the TV. [You’ll see] shows, articles and advertising of healers who allegedly cure deadly diseases, help people find husbands or wives, get rid of spells. They promise things doctors will never promise. What is more absurd, those charlatans cooperate with our state. For example, in 2013 there was a conference, “Actual Problems of Crime Investigations,” organized by the Investigative Committee of Russia. During this conference, there was a section dedicated to “untraditional ways to obtain information from criminals.” Hypnotists and occult mystics were introduced as help for investigating crimes by looking at victims’ photos. What a medieval approach! Are there any laws or initiatives proposed by the Russian government that you strongly disagree with? Our parliament recently supported a ban on genetically modified organisms (GMOs) and I think our deputies just have no idea what they are doing. GMO-phobia is wrong and is used by populists. All agricultural products are genetically modified. Genetic science helps us to get necessary products much faster. Basically mankind has managed to feed itself thanks to genetic engineering. In our bulletin #15, we published a letter from Society of Scientific Workers to Prime Minister Dmitry Medvedev explaining that GMOs are not dangerous for humans and that recent laws will destroy genetic engineering in Russia. The letter was signed by 325 PhDs — biologists, biophysicians, genetics, physiologists etc… We also published a reply from Ministry of Education and Science that from one side agreed that biotechnology is one of the most important spheres for Russian science and at the same time supported the idea to increase restrictions on GMO use in Russia.